Couples have a lot more flexibility in planning a wedding than they used to and the traditional sit down wedding breakfast is no longer the only option. Here are six key wedding catering trends for couples to consider. If you have decided on a traditional sit down dinner but want to add an element of interest along with entertainment for your guests, carving at the table could be the perfect choice. Carve at the table is a modern version of the traditional roast dinner and gives your guests something to watch while they are waiting for their meal to be served. Have a selection of meats and at least one server to every twenty guests. An eco-menu is appropriate for any style of wedding, but they are especially popular for garden receptions, or ceremonies held at country venues such as farms or country estates. Eco menus are becoming more popular in wedding catering as words such as locally produced, organic, sustainable, free trade, and seasonal, have found their way into culinary circles. Decide which of these elements of an eco-menu are most relevant to you and have your caterer design the menu around them. If your wedding has a green theme, an eco-menu will be just the thing you’re looking for. f you have a lengthy guest list and are planning to hold your reception in an elegant urban hotel, food stands could prove very practical. Food stations are the latest trend in wedding chic, and every season sees the appearance of a new type of stand. Taster menus are a currently very fashionable in wedding catering, although they can be more expensive than you might think judging by the name. Taster menus take a long time to serve, so if you want a long wedding dinner, or you would rather have your guests eating and socialising all day than sitting down to a set dinner, a taster menu is the way to go. Your guests are served with up to ten different mini courses, usually of fairly exotic foods, to allow them to taste a variety of cuisines. If your budget allows it, try to offer a different complementary wine with each dish. It’s a good idea to have speeches and maybe some wedding entertainment between the various courses. Cocktail bars allow your guests to make their own drinks and provide interactive catering. 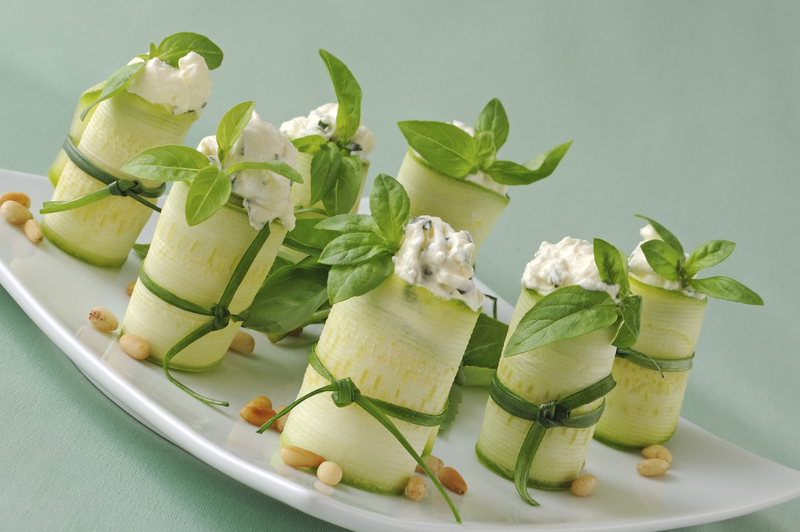 They are great for an al fresco summer wedding, particularly one that is held in the evening. Set up a bar with glasses, various types of champagne or sparkling wine, liqueurs and fruit juices to mix them with, and a range of fresh fruit and garnishes. Make the bar colourful and offer as much variety as possible, and provide a buffet with complementary nibbles to soak up the booze. If you are worried about some guests over doing it with the drinks, have an expert bar tender on hand and only have the bar open for a couple of hours or so. Banquet style dining is perfect if you want a vibrant, lively reception, and is particularly suited to an Italian theme wedding. Having your guests seated along two or three long tables, instead of several smaller ones encourages more interaction. 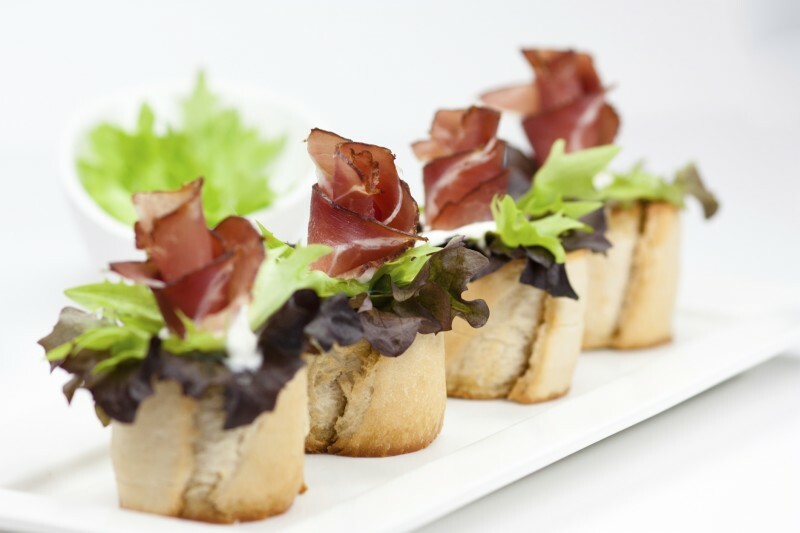 Serve food on large platters that are ideal for sharing, and use finger food where appropriate. Don’t consider this option if you want your table linen to remain immaculate, or if you are intent on having stunning table centres.